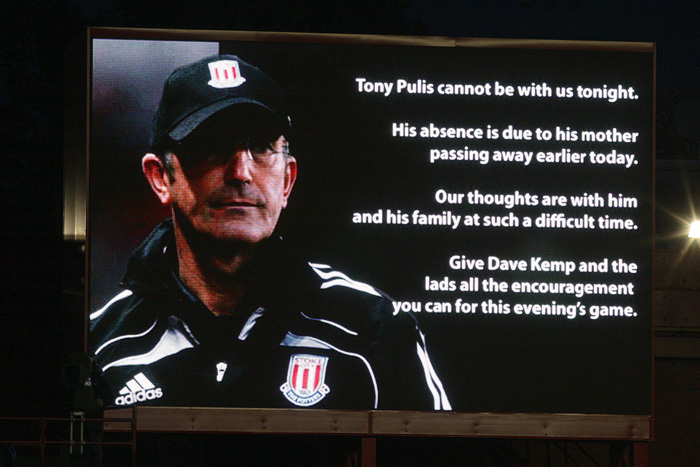 With Tony Pulis grieving for the loss of his mother, this was a rare occasion when the neutral rooted for Stoke. Pulis showed up at half-time and made the difference. He gave a team talk that “took the paint off the walls”, according to Stoke assistant manager Dave Kemp. In a cracking finish to a pulsating match, Villa’s 1-0 lead was overturned through Kenwyne Jones’s 80th-minute header and Robert Huth’s injury-time winner from close range. Well played, Kevin. You are a man of dignity. And respect to Pulis for manning up in difficult circumstances.